AbtracOnLine will link to your accounting package via the API (application programming interface) supplied by your accounts software. 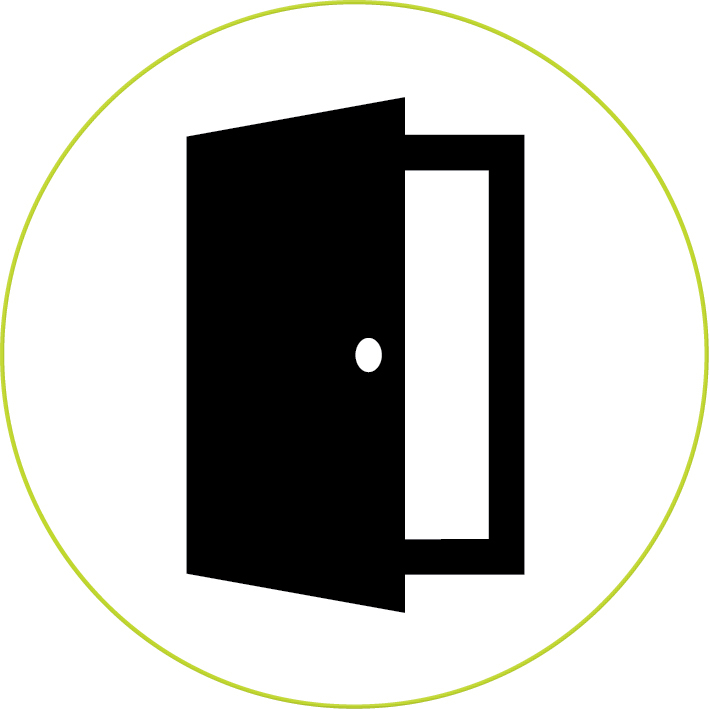 An API is essentially a doorway through which Abtrac can enter and deliver your invoice information. 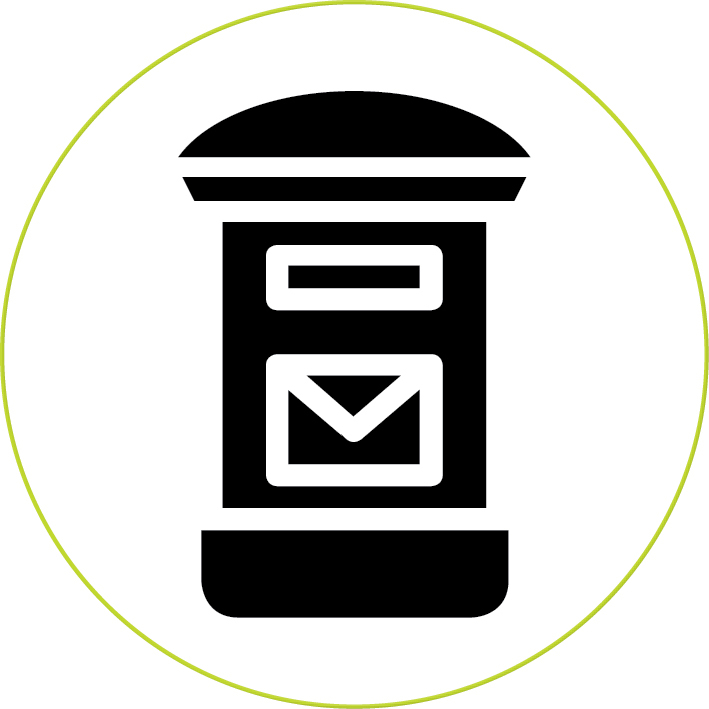 In some instances we can also link and update your contacts, projects and other information. 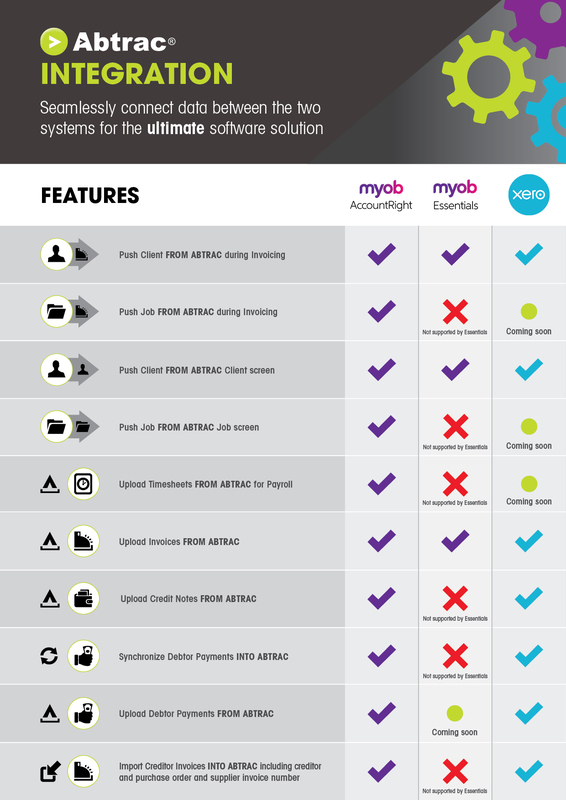 What we are able to automatically synchronise is defined by your accounting package API. If your accounting package doesn’t have an API, or if it restricts the information that AbtracOnLine is able to create, then we can also link and export information via .csv files. Unlike the API doorway the .csv link is two step process. A suitable invoice upload file is created from Abtrac and saved in a folder to your desktop, dropbox etc. This file is then accessed from your accounting software and uploaded using your accounting software’s import function. Tax Codes and Account Numbers are assigned to every Abtrac invoice. Each invoice (and each invoice line) in Abtrac will need to have both a tax code and an account code that matches those in your accounting system. In some instances the Client and Projects will also need to match, in other instances you can choose to simply create new clients in your accounting system based on the address details from your Abtrac invoices. These Tax Codes and Account Numbers are applied to each and every Invoice from details specified in your Accounts Interface settings which are linked to the AbtracOnLine Invoice Settings. An invoice setting can only be associated with a single accounts interface. All offices may share one accounting interface setting. It’s also possible to have multiple accounts interfaces, and send your invoices to different accounting packages, or different accounts files. Once you have both an Office and Invoice Setting created in Abtrac for an API connection you can choose Accounting Interface Settings from the Top Menu > Accounting > Interface Settings. When an interface is created you can edit it’s display name and associate it with an invoice setting, or edit other settings regarding the interface. Is there a charge for the accounts integration add-on? To determine whether there will be a monthly fee for your accounts link you can call the support team or try our pricing page with an online calculator. If a fee applies it’s a flat rate of $15 per month. Charges apply based on the interface type and not the number of interfaces you have configured. Once your accounts integration is set up this article on Using the Abtrac-Accounts link is also a useful read. This entry was posted in Accounting Package Integration, Administration Settings, Getting Started, Invoicing and tagged accounting software, api, myob, upload invoices, xero by Jen. Bookmark the permalink.